When communicating with your dog it’s important to have a tool that lets them know that it’s time to listen. When training my dog, I had difficulties getting her to listen, which is when I turned to the idea of dog whistle. Through my experience, I developed this guide of the top 5 best dog whistles to help you to choose the perfect tool for your needs. 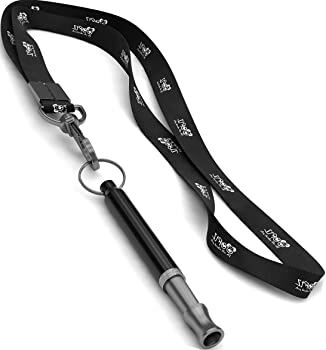 After all of my research, I have decided Ortz Dog Whistle is by far one of the best dog whistles on the market as it gives you the ability to easily train your dog throughout the years, unlike other whistles that typically wear down with consistent use. 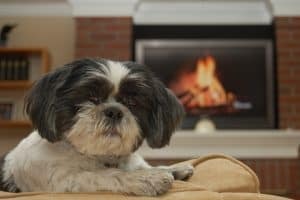 It’s incredibly versatile and gives you the ability to adjust the frequency to accommodate the hearing of puppies, older dogs, and a variety of breeds. With other dog whistles you might find they are only useful for certain frequencies and at small distances. 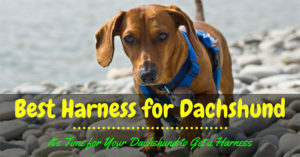 ​Why Should I Use a Dog Whistle for Training? Strong Build: First and foremost, make sure you buy a whistle that is going to last through the years. It’s important to remember these tools will get dropped and the last thing you want is to invest in a whistle that is going to break after dropping it once. Frequent Pitch: Another important factor is to make sure to choose a whistle that doesn’t have any differences in pitch as you use it. Remember, your dog will be paying attention to the frequency of the whistle to know that it’s being commanded. To avoid confusion it’s important to find one that offers a consistent pitch. Sound: Since you’ll be using the dog whistle on a regular basis and sometimes for hours at a time, you won’t want to choose one that is loud to humans. Most dog whistles are designed to operate at such high frequencies that they are basically silent to the humans. If you can’t find a silent whistle, choose one that has an easy-to-hear sound. Affordable: There’s a high probability you’ll need to replace your dog whistle at some point, so it’s not a good idea to spend a lot of money on your first or even your second one. I remember when I started whistle training Marlie grabbed onto the lanyard and ran away with it. I never was able to find it and instead, had to buy a brand new one. 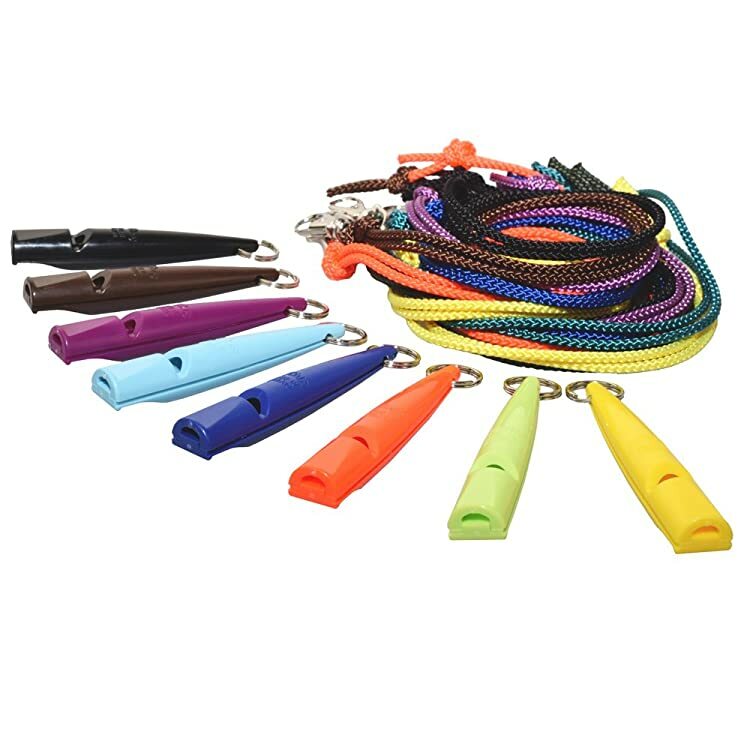 As the premier choice for beginner and experienced dog trainers everywhere, the Ortz Dog Whistle is essential for not only teaching your dog to stop barking but to also follow all of your commands. 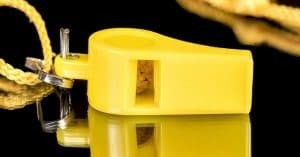 This whistle offers ultrasonic sounds that are incredibly easy for dogs to hear and help to make training much easier. With its user-friendly instructions and its resilient construction, you’ll find yourself using this training aid more often than not. 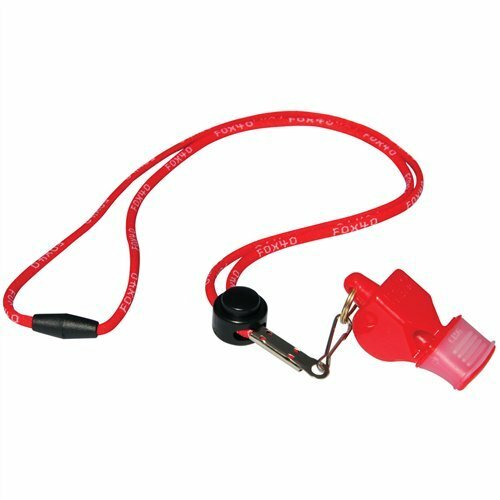 As an affordable training tool that you can easily bring to any place where you intend on training your dog, the Acme Dog Whistle 210.5 is a great option. 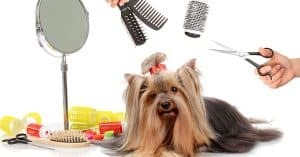 If you own a small breed or a dog that is hard of hearing, the 5900Hz frequency is essential for teaching them to obey your commands. Plus, the whistle is small enough to where it can easily fit around a lanyard or in your pocket. The Fox 40 Classic CMG Whistle is designed for users that are looking for a loud and attention-grabbing tool. It is available in multiple colors and offers a sound rating of 115dB. Constructed out of polycarbonate and over-mold CMG technology, this pea-less whistle is designed for comfort. 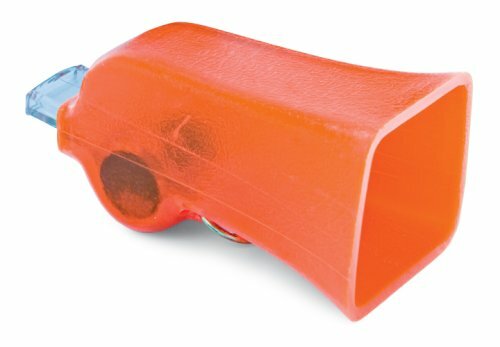 If you’re in the market for a large dog whistle that is sure to get the job done, SportDOG’s Competition Mega Whistle is specifically designed to offer the loudest frequency possible. 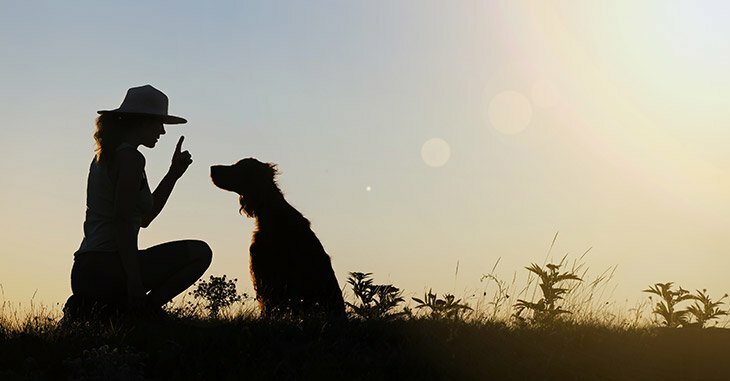 With its hardy construction and penetrating tone, it’s useful for a variety of training applications ranging from hunting and field trials to teaching your dog basic commands. Dog owners that have been searching for the right whistle to teach their dogs new commands and to reinforce positive behavior will appreciate this unit designed by forePets. 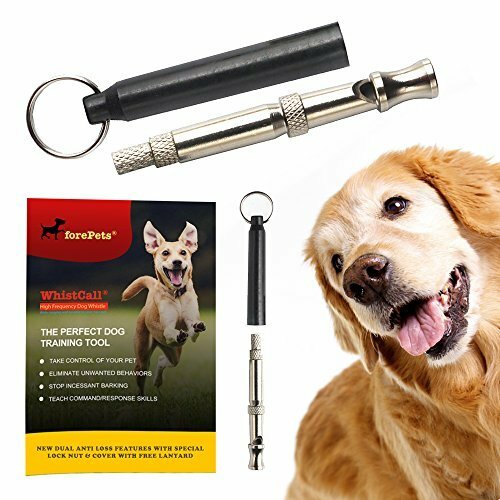 The whistle is designed to help you accomplish the best results when it comes to dog training as it ultimately assists you with teaching your pet to obey most commands with ease. Also, it’s incredibly sleek, stylish, and easy to carry around. 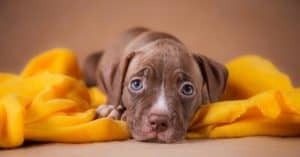 In the past, people assumed that using painful punishments was the best way to train their dogs, when in reality it was simple with the help of positive reinforcement. You can use a dog whistle to help your pet listen to your commands instead of forcing them to listen by using unnecessary punishments. 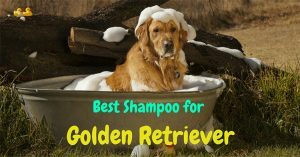 A difficulty that we encountered while training Marlie, our Golden Retriever, was that she listened to only one person. 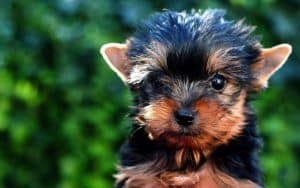 It could have been a result of different octaves in each person’s voice, as sound is typically how a dog knows who is calling for them. With the help of a dog whistle, every person in our family was able to use a consistent tone while training and it quickly became a sound that she was familiar with. Over the years we had tried to train Marlie in an open area in comparison to the inside of our home, mostly because she loves being outdoors. One of the main concerns we had was that she wouldn’t be able to hear us if she ran too far away. When I started to use a dog whistle, the sound traveled far enough to where she was able to hear it from the opposite side of a field. This was so much easier than trying to shout for her attention in public. Since a dog whistle is so versatile, it doesn’t mean that you only have to use it to tell your dog to “come back”. In fact, you can use it for a variety of training purposes. 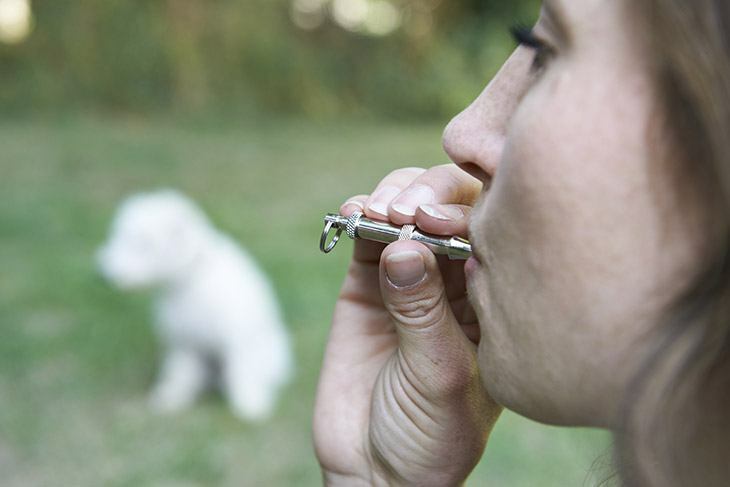 Much like any other type of whistle, particularly ones you might have used as a child, all you have to do is blow into the device to get your dog to listen. One great way to use your dog whistle is to create unique signals that represent different commands. We used one long whistle for “Sit” and two short bursts for “Paw”. Make sure you choose signals that are quite different from one another so your dog doesn’t get confused. 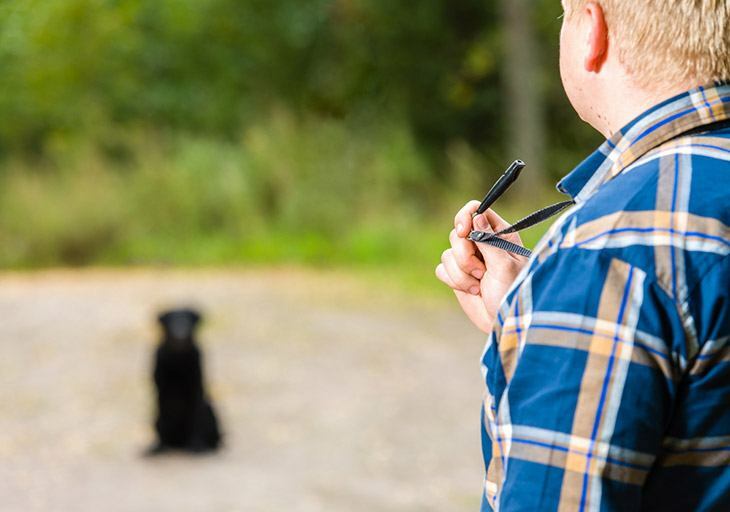 Even though you have a whistle, it’s still important to use verbal commands while training your dog. This is important just in case you happen to lose the whistle or simply want to command your dog to do things with only your voice. I found that Marlie would listen the best when I would give the verbal command (such as “Sit), then I would do the two short bursts of the whistle, and once she obeyed I would praise and reward her. To help protect your investment, be sure to take advantage of their included warranty. 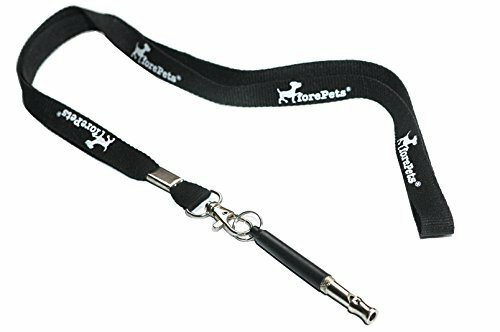 Also, you’ll surely appreciate the free lanyard included with purchase so you won’t be likely to lose the whistle over the years.